Another year, another ExpoNG! 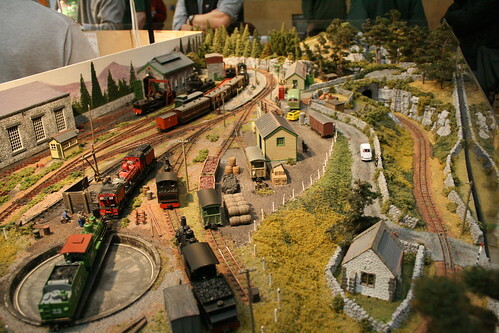 The Swanley show is one of the highlights of the exhibition calendar for us narrow gauge types, and 2008 was no different. 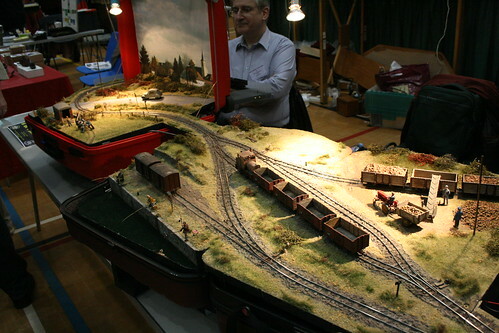 To coincide with the 25th anniversary of the show and the 40th of the organising club – the Greenwich & District Narrow Gauge Railway Society – there seemed to be a emphasis on fewer, larger layouts but the quality was high across the board and the hall was packed for most of the day. 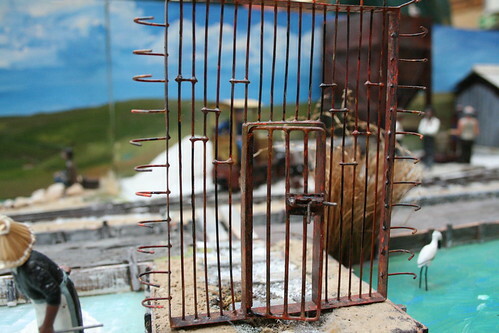 It was great to see John and Jenny de Frayssinet’s County Gate (OO9) at last, the layout is now complete with the addition of the harbour section pictured above. The wealth of detail over the whole piece is almost unbelievable and its not surprising that there were crowds around it all day. Perhaps the most striking thing is the sheer density of the trees in the wooded valley around the viaduct, something that is almost never seen in modelling but so true to life. 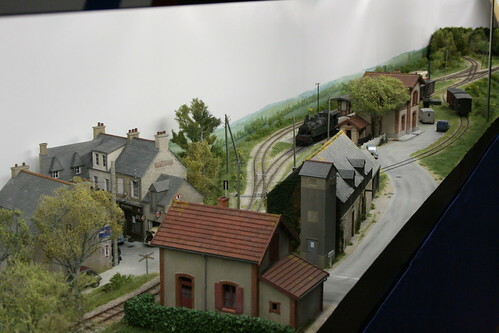 Another layout that has been generating quite a buzz over the last year is Gordon and Maggie Gravett’s Pempoul, modelled at 1:50 scale on 18.2mm gauge track. It takes a very leisurely (in terms of operation) approach to the French network of secondary metre gauge lines but again the attention to detail in the scenery is second to none. Opposite Pempoul was Sucrerie Durand & Gault by Jack Treves in O14. This unique layout is housed in three large suitcases and presented as such with no attempt to frame off a little piece of the world – an approach which actually works because the life and detail in each cameo is so convincing. There is a lovely little pun as well – the sugar factory lies in the settlement of Val Yse (“valise”). 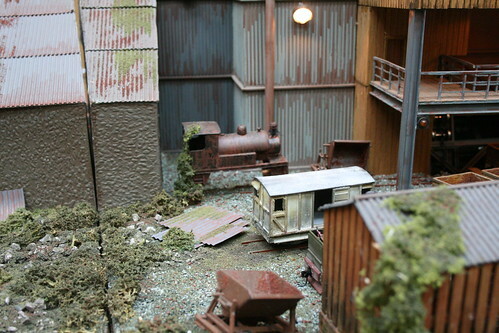 Another attractive industrial layout was Secciole Salina by Gerry Bullock in Gn15. This is based on a Slovenian salt processing works and shows just what you can do with figures and detailing in 1:22.5 scale to create a convincing scene. In a similar scale – 1/2″ to the foot or 1:24 – was Aberfall Mining & Minerals Ltd., a simple track plan but very well conceived and presented. Much use is made of Bachmann On30 gas mechanical locos which can be easily converted to the larger scale with replacement cabs from Sidelines. 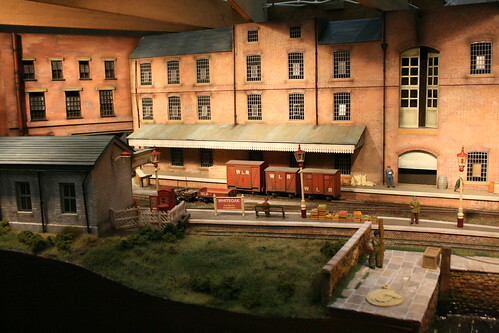 A personal highlight for me was to see Malcom Savage’s scratchbuilt NGG16 Garratt in 5.5mm scale on Bronaber Sidings. 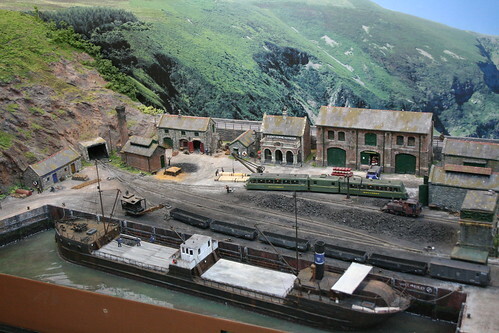 Also in 5.5mm scale, but using 16.5mm track to represent 3′ gauge, was Beccadale Haematite Mine built by the late Dave Scott and now owned by Francis Stapleton. This little scene behind the impressive mine facility shows the scrap line, with derelict skips and the loco equivalent of an old car up on bricks! 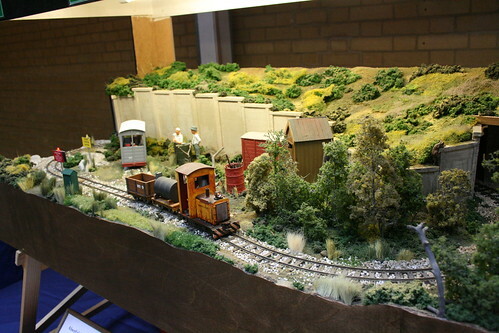 The Whiteoak Light Railway in O16.5 by Martin Coombs shows an unusual but very attractive approach to narrow gauge. By filling the entire backscene with large warehouse buildings it give the impressive of a very densely packed industrial site a world away from the regular bucolic scene. Gairloch and Wester Ross by Roger Christian and Stan Williams was another of the large OO9 layouts on show. Schematically it is similar to the Dovey Valley Railway seen at Sparsholt earlier in the year but with a Scottish setting and a large number of impressive Paul Windle specials in the motive power stud. There were of course many more great layouts at ExpoNG than I have covered here, so I’ll update again soon with some of the entries to the Anniversary Challenge. 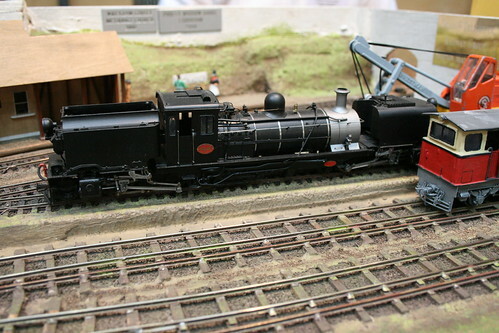 This entry was posted in 009, 5.5mm, exhibition, expong, Gn15, model railways, narrow gauge, O14, O16.5, photos. Bookmark the permalink.